Available on Selector Dub Narcotic. "Close To God" is one of the One Foot in the Grave outtakes. It was originally released on a K Records compilation disc called Selector Dub Narcotic in 1998, but it was recorded with the rest of One Foot back in late 1993. It is one of the strangest of the Beck/Calvin Johnson duets, based around a trippy electric guitar licks (by Calvin) and some rudimentary drums (by Beck). Beck's vocals were hugely distorted, and actually end up almost matching Calvin's natural voice. The end result was a song that seems both kind of ugly and pretty at the same time. 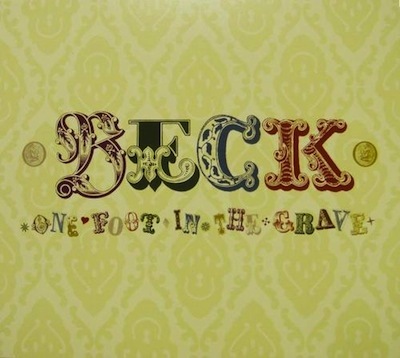 Then when Beck released his deluxe version of One Foot, he included "Close To God" on it as a bonus track. However, the version on there is edited slightly. Some of Beck's vocals have been removed (the opening grunts and the crazy aaaaaah near the end). I feel like Beck's sung vocals, while still somewhat distorted, have possibly been cleaned up slightly. I think otherwise the music is identical; if anything it may be a tad slower? I don't know the rationale for making a slightly cleaner edit of the song fifteen years later. It is not like it suddenly became a pop hit or anything, and it is still mostly the lo-fi charming recording Beck and Calvin made one day. The song credits Beck on vocals and drums, and Calvin on guitar and vocals.